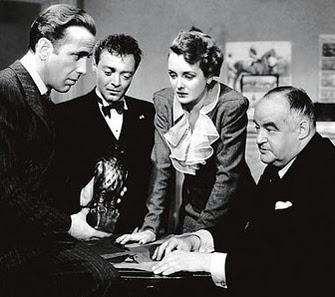 The Maltese Falcon stars the iconic Humphrey Bogart as private investigator, Sam Spade, alongside a cast that includes Mary Astor, Sydney Greenstreet and the wonderful Peter Lorre. 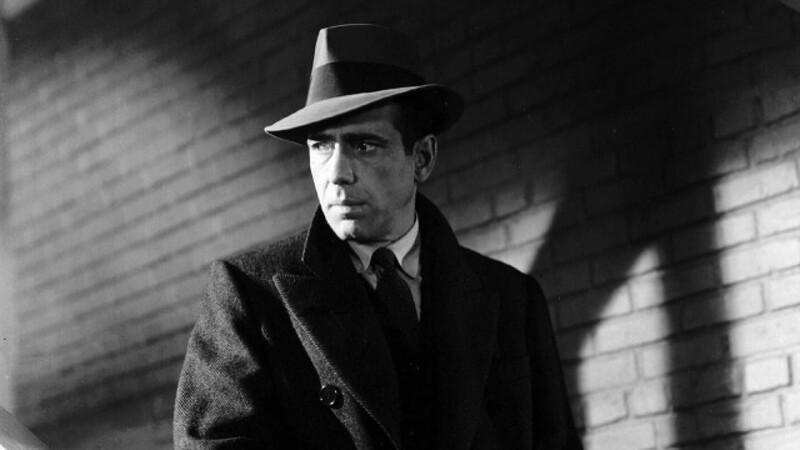 This fast-paced murder-mystery caper, set in San Francisco, is an absolute classic. In case you’re not familiar with the plotline, please allow me to try and explain. 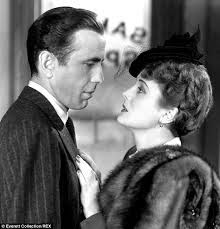 Private detectives Sam Spade and Miles Archer are hired to follow a man called Thursby by a “knockout” lady with ulterior motives. 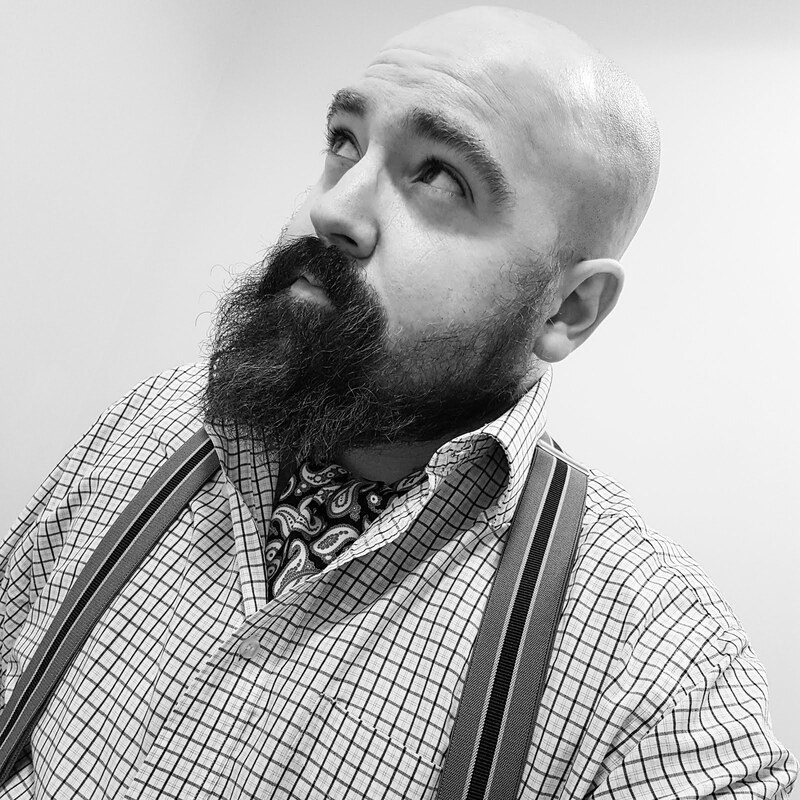 When Archer and Thursby are shot dead on the same night, Spade journeys into a web of deception as he discovers that the woman (real-name Brigid O’Shaughnessy) had lied about everything, including her identity. 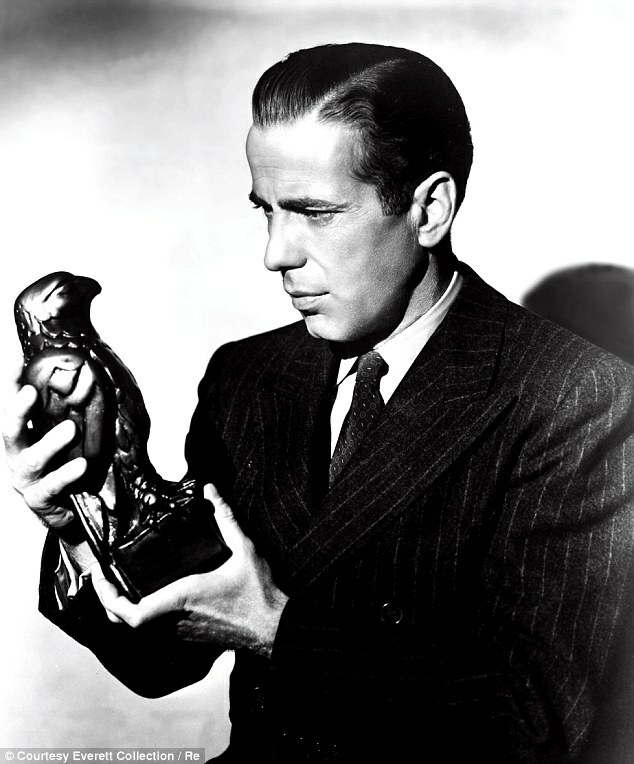 Spade finds out that O’Shaughnessy and Thursby were hiding a valuable statue of a falcon. But other people are after the falcon, namely Kasper Gutman (Greenstreet) and Joel Cairo (Lorre), who will stop at nothing to get their hands on it. I absolutely adore Bogart in this role. More likely to fire a witty comeback than a gun, he exudes charisma and charm by the bucketload. You might say that he dominates the screen, but then he does appear in every scene, bar one. Spade’s character is very intriguing. 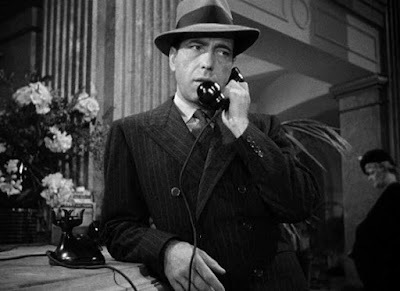 When he receives a telephone call to inform him that his partner has been murdered, he shows no emotion. In fact, it turns out that he’s been having an affair with the dead fellow’s wife! Not that his former partner was the faithful type either. Mary Astor’s Brigid O’Shaghnessy is the definitive femme fatale, using her feminine wiles to get what she wants. Although her wiles aren't very effective on Spade who uses her for his own gain. 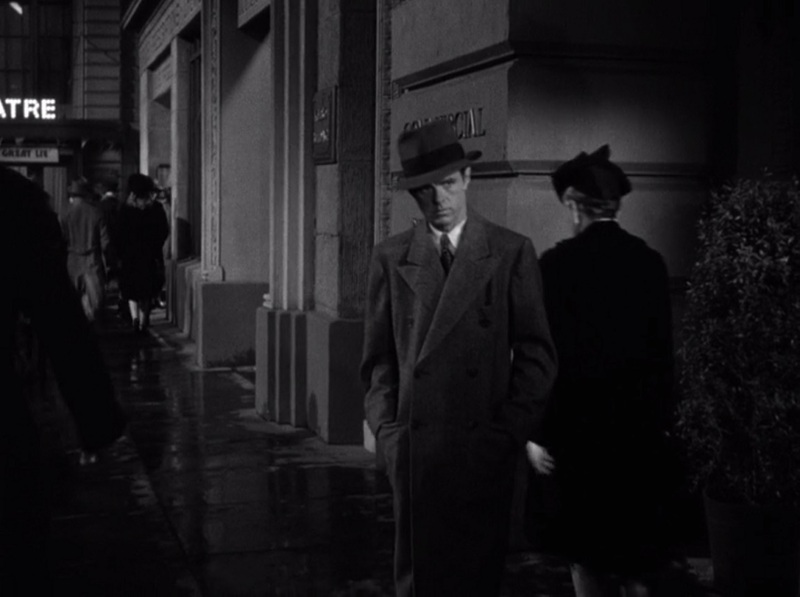 The film marked the directorial debut of John Huston, who opted for mainly interior shots which only added to the tension. 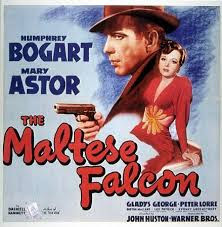 Heavy on dialogue and extraordinarily fast, thankfully, I have the benefit of the rewind button on the DVD player! I’ve watched The Maltese Falcon a number of times now and it just seems to get better and better with every viewing. That’s testament to all those involved in this marvellous cinematic offering. If you’ve not yet had the pleasure of watching it, you really need to rectify this at once. 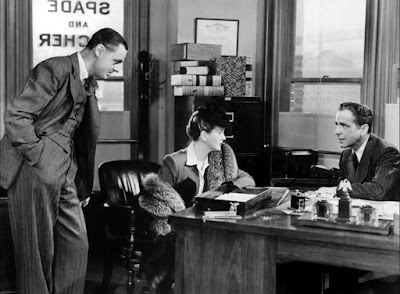 The humour in The Thin Man is just wonderful, it has a lovely light touch. 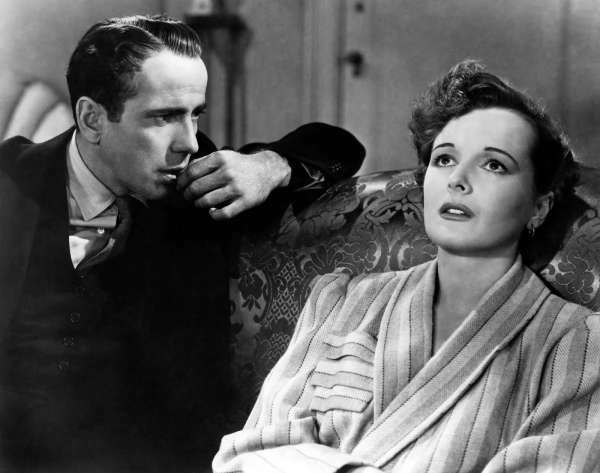 The Maltese Falcon is more brooding and serious, although with a few funny moments too. Spade is quite the character. As they are by the same writer, I must read the books and compare!